for the Dove House April/Art for Consent? Dove House dropping off chalk at your location with directions and informational material. Dove House will list your business as a participating location on our website and instruct the public that they can pick up chalk there. 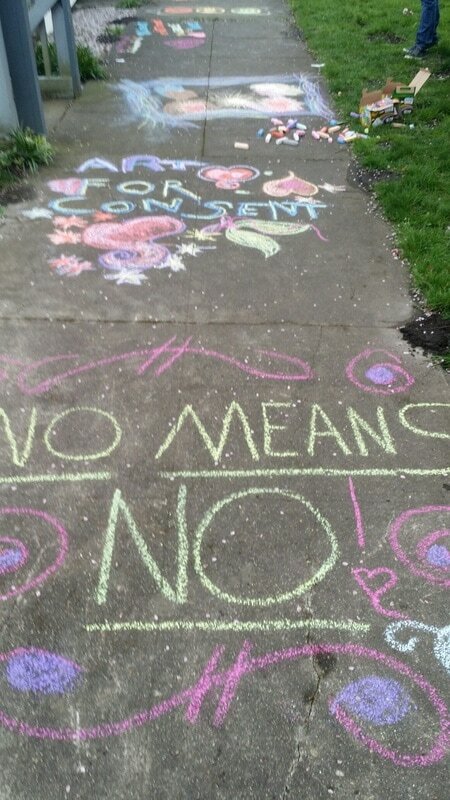 If you allow it, people can make chalk art that reflect positive messages about consent in an area of pavement you approve. April is Sexual Assault Awareness Month and we want to cultivate awareness about sexual consent! With your help we will create colorful, creative chalk art messages throughout Jefferson County to start a dialogue about sexual assault, consent, and supporting survivors. Together we can change the culture in Jefferson County by getting out there with friends and family to promote positive messages throughout the community! The kickoff event is Saturday, April 8th from 1-3 p.m. at the Jefferson County Library – we’ll have all the supplies you need. For more information contact Dove House at 360-385-5292 or visit dovehousejc.org. Pick up chalk at Dove House (1045 10th St, PT) or at another participating location listed at www.dovehousejc.org. 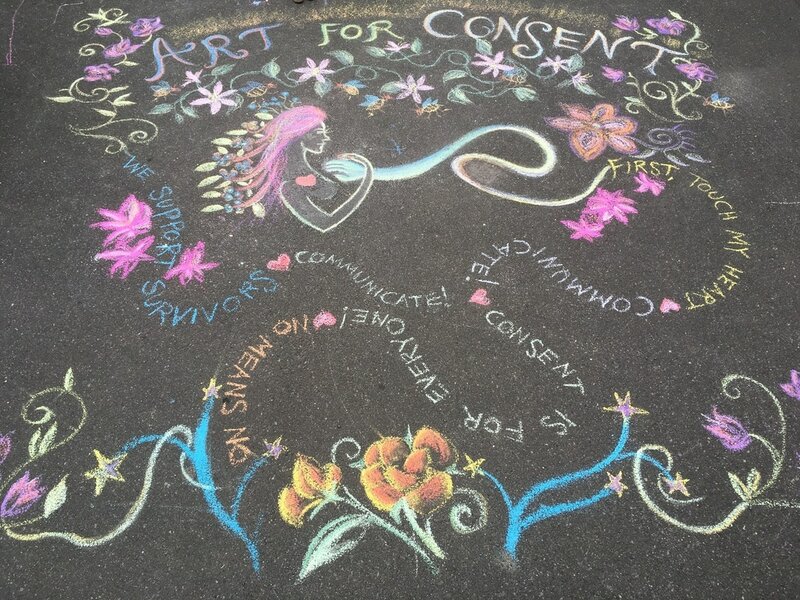 We’re open from 9:00 a.m. to Noon and 1:00-4 p.m.
On your driveway, or at a participating location, create chalk art that promotes consent and is in support of sexual assault survivors. For a list of participating locations, contact Dove House at 360-385-5292 or www.dovehousejc.org. Words, symbols, pictures are all great! All languages encouraged! 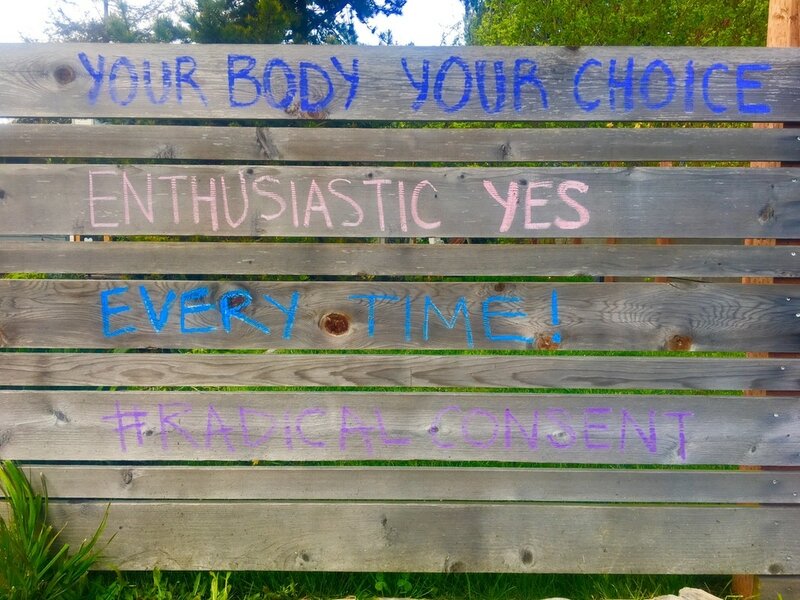 Example phrases: radical consent, enthusiastic yes! 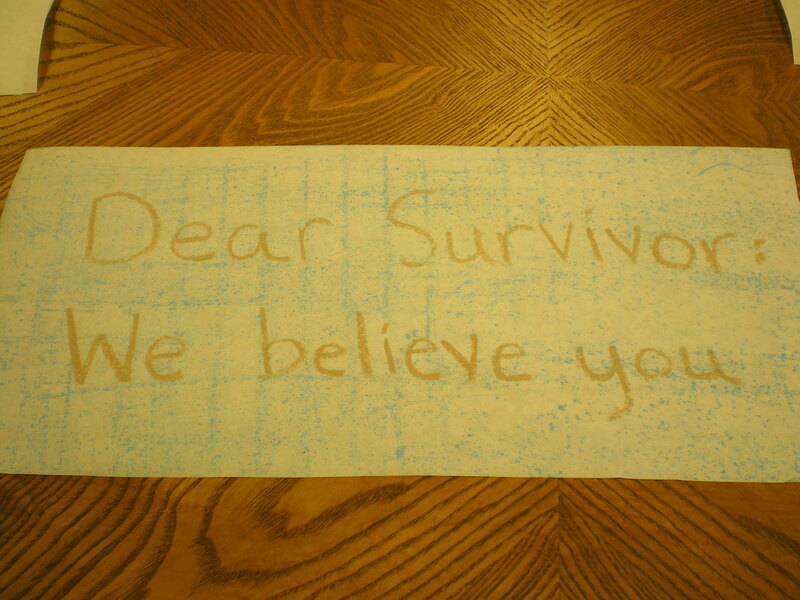 believe survivors, change the culture etc. Take a photo of the chalk art. You can include yourself in the photo or not. Send the photo to development@dovehousejc.org and it will be posted on the Dove House Facebook page. Join us for the KICK OFF EVENT. Saturday April 8th from 1-3 p.m. at Jefferson County Library. We'll have all the supplies you need and we'll be making chalk art to start the dialog about sexual assault, consent, and supporting survivors.